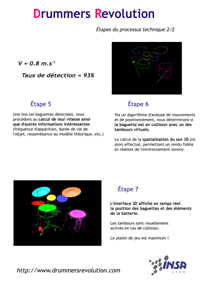 Here are some documents we did for the European Virtual Reality Show in Laval. The project's name used to be "DrummersRevolution". It is now called "Virtual Drums". 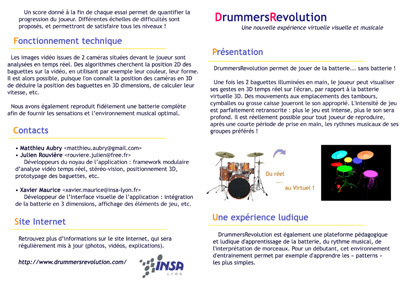 We participated in several exhibitions to spread the word about Virtual Drums. The Shaastra festival is a technical festival taking place in the Indian Institute of Technology in Madras (Chennai), India. 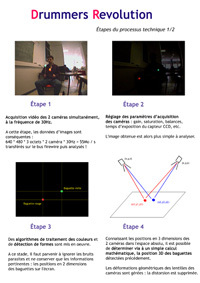 Matthieu who was in exchange in this university, introduced the virtual drums to 100 people. Indian students andprofessionals were impressed and we had a very good time! The “24h de l'INSA” is the biggest student gathering in France; over 3 days, hosting many concerts / theatres / games / animations / sports / etc. More than 50,000 people are coming every year! The exhibition lasted 5 days and the Virtual Drums was a big part of it! Hundreds of people stopped by the virtual drums our stand,professionals, competitors, children and grand fathers! Thanks all for this wonderful time!